Apart from being really tasty they are also packed full of nutrients like Vitamin C, Vitamin A, Folate and Potassium and they are mega low in calories. Zucchinis are super delicious both raw and cooked. Below are 2 recipes that I’m using at the moment. The first one is a Raw Pasta recipe from Natasha Corrett’s great cookbook Honestly Healthy and the other is my fave Zucchini Fritters recipe. 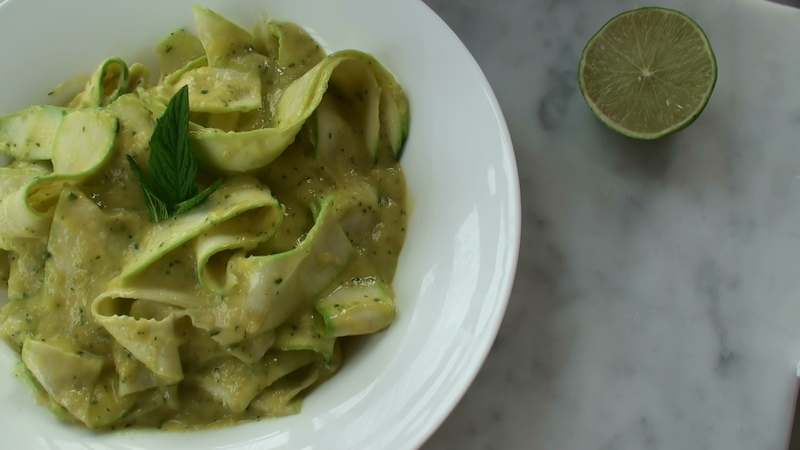 Corrett’s Raw Courgette Spaghetti is beyond quick to make and it’s really fresh and zingy. 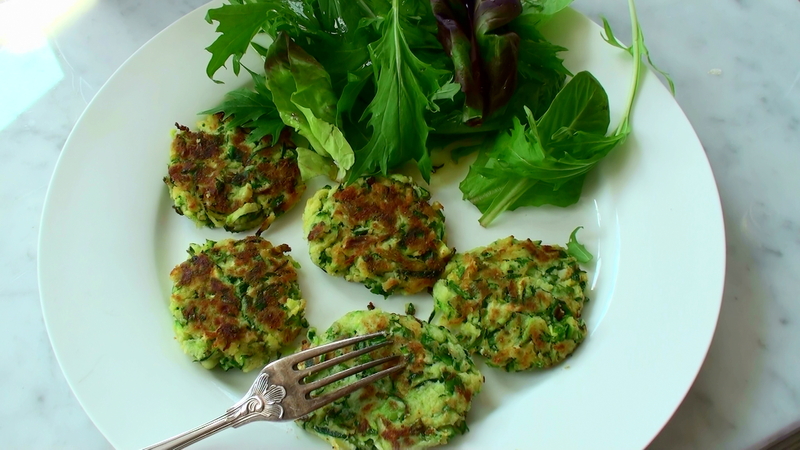 These egg and gluten free Zucchini Fritters are yummy! Grate the zucchinis, add 1 teaspoon of salt and let it sit for 10 minutes after which you squeeze out as much liquid as you can. Finley chop the spring onion, parsley and mint and mix with the zucchini. Heat up the coconut oil and roll spoonful’s of the mixture and flatten out as you put them in the frying pan. Right, that’s dinner sorted then! Spot on with this write-up, I really feel this site needs much more attention. I’ll probably be returning to read more, thanks for the advice!